During the early 1990s a series of dubious individuals, ignorant pseudo-scholars appeared in Britain. With a command of the Arabic language and able to deceive people into thinking they were scholars, they acquired followings. 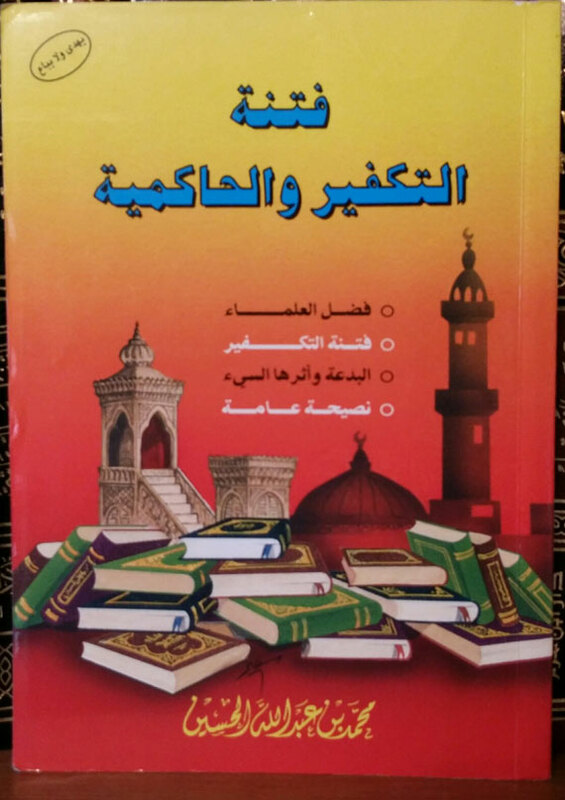 They include Abū Ḥamzah al-Miṣrī, Abū Qatādah, Omar Bakrī and others. They were promoting the doctrines of misguided thinkers such as Sayyid Quṭb, Abū Aʿlā al-Mawdūdī and Taqī al-Dīn al-Nabahānī who were responsible for creating political movements based upon distorted understandings of basic Islāmic tenets. They presented the idea that all contemporary Muslim societies are non-Islāmic and illegitimate, that these societies are led by rulers, (or classes, families or political parties) that have usurped divine authority. They gave the Muslim declaration of faith ("None has the right to be worshipped but God alone") a purely political explanation. On the basis of this political explanation, they excommunicated whole societies, governments and their institutions and then reframed lofty institutions such as jihād (just war to remove violent aggression from peaceful preaching), enjoining good and prohibiting evil as a constant struggle against governments, regimes, their institutions (army, police) and whoever allies and supports them. They actually revived the doctrine and methodology of the very first sect to break off from Islām, the Khārijites (extremist renegades) and their methodology centres around exaggeration in two basic concepts. Ḥākimiyyah (lawgiving) and takfīr (expelling a Muslim from Islām). This innovated, heretical doctrine does not actually originate with so-called "Wahhābī" Muslims or "Salafists". These individuals, Quṭb, al-Mawdūdī, al-Nabahānī, were from Ṣūfī, Ashʿarī, Māturīdī backgrounds and they are the pioneers of this distorted idea (see here). The importance of sticking to genuine scholars, not pseudo-scholars and ignoramuses. Warnings about the danger of takfīr (expelling Muslims from Islām). The necessity and obligation of warning from heretics and deviants who distort Islām and misguide others. 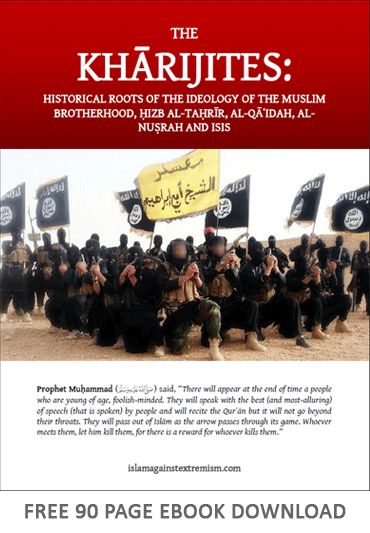 A refutation those responsible for the appearance of extremist doctrines and methodologies and they include: Ḥasan al-Bannā, Sayyid Quṭb, Ḥasan al-Turābī, Abū al-Aʿlā al-Mawdūdī and Muḥammad Surūr. General advice to Muslims in keeping away from extremism. On the back cover of the book is a quote from a prominent Muslim scholar which states purifying Islām from the views and doctrines of the heretics and deviants, (such as the extremists and terrorists) "is a form of jihād" which is "a collective obligation" upon Muslims by agreement.